St. Rocco's will celebrate the closing of their Centennial Year with a Solemn Mass on Sunday, Jan 4, 2014, the Feast of the Holy Name of Jesus. Mass will be at 12 noon. St. Rocco is located at 3205 Fulton Road, Cleveland. 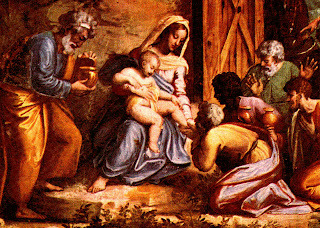 The Epiphany feast is coming up. See below for Mass times already scheduled. 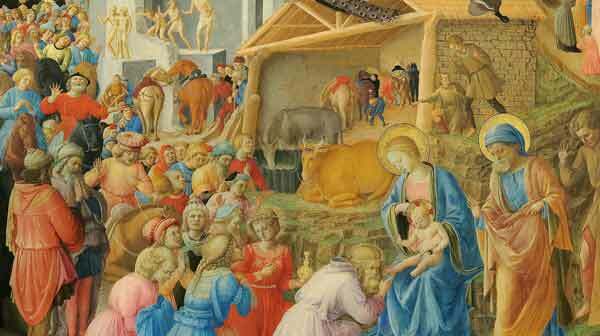 High Mass for the Epiphany, Tuesday, January 6, 5:30 p.m. Sacred Heart of Jesus, 1545 South Green Road, South Euclid. Music by the Lyceum Schola Cantorum. We'll let you know if we get information about other Masses. Monday, December 8, 2014, is the feast of the Immaculate Conception of the Blessed Virgin Mary. Its a day of obligation. The Latin Masses scheduled are listed below. Also, an Advent Rorate candlelight votive Mass in honor of the Blessed Virgin Mary will be offered at St. Stephen on Tuesday, December 9, at 7am. A most blessed First Sunday of Advent to you all. 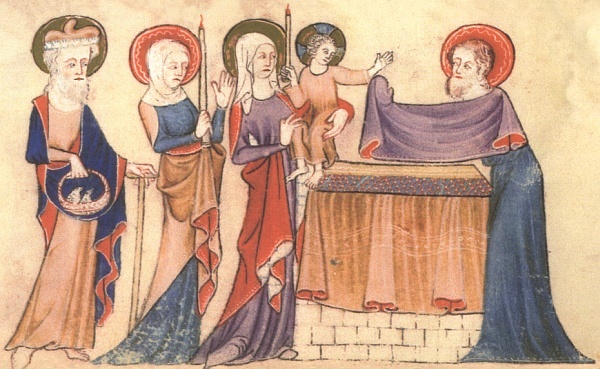 Audo Sancto has a wonderful 3-part sermon for Advent recollection. 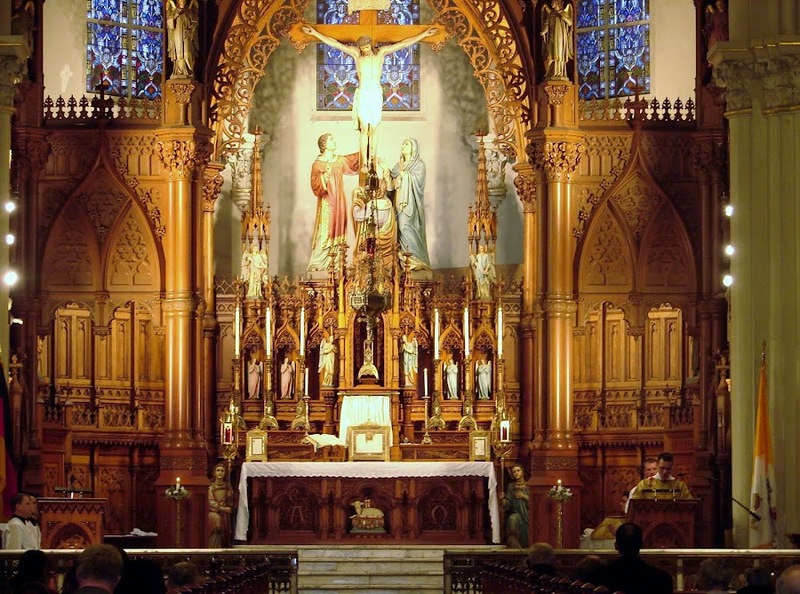 Immaculate Conception, Cleveland, will offer a low Mass at 8am on Thanksgiving Day. Fr. Frank Godic, pastor of Immaculate Conception, would like you all to know the following, concerning Sunday's celebration of the Sacrament of Confirmation. 1. If overflow parking is needed, there is a parking lot directly across the street from the church, on Superior Ave., which will be available to those attending the celebration. 2. A reception with light refreshments will follow the Mass in the school auditorium. Anyone who wishes to bring something to share is encouraged to do so. Please bring it to the auditorium before Mass. Perhaps this is a good opportunity to remind ourselves of some truths about the Sacrament of Confirmation. Excerpts are from Manual of Confirmation. soul and body to the service of his Supreme Lord and Master. Holy Ghost and the soul. "Be steadfast in thy covenant." crown of life which God hath promised to them that love Him." without relaxing, that is to say, with perseverance to the end. terize the anointed of the Holy Ghost. in the grand cause and service of the King of Kings! their arrows? How many winters have you been in the field? sword will mow down in its passage everything opposed to Him. How will you venture out of the shade into the heat of combat? How will that body so slender bear the weight of the armor? soul in the great Sacrament of Confirmation. Cleveland TLM Friends wishes you a blessed feast of All Saints! St. Bernard of Clairvaux gives us the following to think about. Why should our praise and glorification, or even the celebration of this feast day mean anything to the saints? What do they care about earthly honors when their heavenly Father honors them by fulfilling the faithful promise of the Son? What does our commendation mean to them? The saints have no need of honor from us; neither does our devotion add the slightest thing to what is theirs. Clearly, if we venerate their memory, it serves us, not them. But I tell you, when I think of them, I feel myself inflamed by a tremendous yearning. 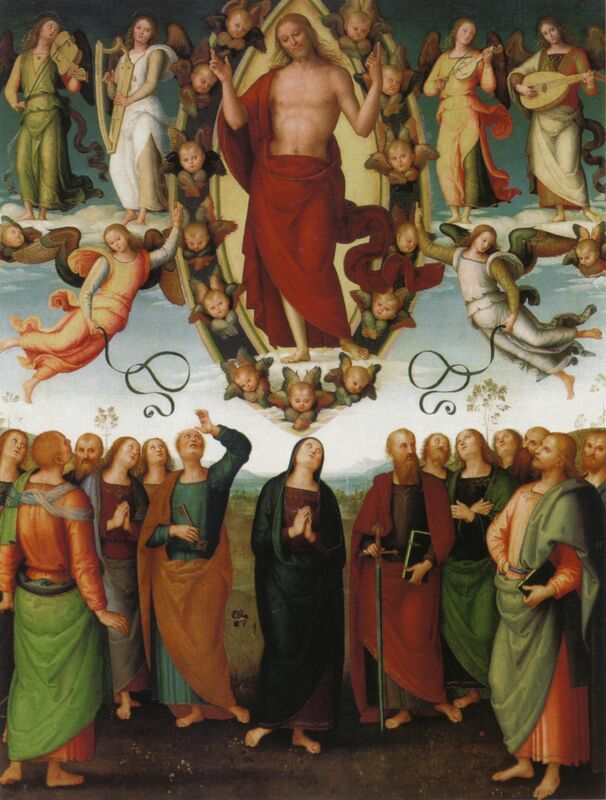 When we commemorate the saints we are inflamed with another yearning: that Christ our life may also appear to us as he appeared to them and that we may one day share in his glory. Until then we see him, not as he is, but as he became for our sake. He is our head, crowned, not with glory, but with the thorns of our sins. As members of that head, crowned with thorns, we should be ashamed to live in luxury; his purple robes are a mockery rather than an honor. When Christ comes again, his death shall no longer be proclaimed, and we shall know that we also have died, and that our life is hidden with him. The glorious head of the Church will appear and his glorified members will shine in splendor with him, when he forms this lowly body anew into such glory as belongs to himself, its head. Again, thanks to Video Sancto, a traditional Catholic sermon on the Saints. Because November 2 is a Sunday this year, All Souls Day is transferred to Monday, Nov 3. Requiem Masses will be offered at St. Stephen and Immaculate Conception. On a special note, we received the following information from Msgr Anthony Spinosa, rector of Our Lady of Lebanon Shrine in North Jackson, Ohio. The Mass will be sung by a mens schola for the gregorian chant and a mixed schola for the motets. According to some accounts, the Irish had a tradition of marking All Hallow's Eve, or Halloween, as a day of remembering and thinking about the reality of hell and how to avoid it. Whether or not this traditional act of piety was particularly attached to All Hallow's Eve, the fact remains that meditating on the Four Last Things is fully Catholic. And hell is one of those Things. The video sermon below is courtesy of the Video Sancto channel on Youtube. The sermon itself comes from Sensus Traditionis. Fr. Martin von Cochem, O.S.F.C., author of The Four Last Things, gives the following thought to the reader on the odors of hell. IN order that nothing may be wanting to the plagues of hell, wherewith the lost souls are tormented, God has in His anger decrees that this horrible prison should be saturated by an unspeakable stench, as a punishment for those who, when on earth, have taken excessive delight in the use of choice perfumes. The prophecy of Isaiah will thus be fulfilled: "Instead of a sweet smell there shall be a stench" (Is. iii/ 24). Decaying animal matter emits so horrible an odor that no one likes to go near it. But if we imagine not one tainted carcass, but hundreds of thousands heaped together, the air for miles around would be so infected that it would cause the death of all in the vicinity. Even this stench, however, when compared with the stench of hell deems as nothing, or rather as a pleasant odor. This vapor or odor of hell arises primarily from the place itself, which is by its nature a most horrible and foul region. No breath of pure air can ever be present in these closely-shut walls of this prison. Moreover, the whole of hell is a lake of burning brimstone and pitch, and every one knows how offensive are the fumes they give out. "The unbelieving, and the abominable, and murderers, and fornicators, and sorcerers, and idolaters, and all liars shall have their portion in the pool burning with fire and brimstone, which is the second death" (Apoc. xxi. 8). The prophet of the New Dispensation here speaks of a pool, full of stagnant, foul, stinking water, for which there is no outlet. He adds that this pool is filled with burning brimstone from which a dense smoke ascends, as he says elsewhere: "The smoke of their torments shall ascend up forever and ever." The very bodies of the reprobate are so foul and disgusting that they emit a most offensive odor, worse than any stench in this world. According to St. Bonaventure, the body of a single reprobate would so taint the air on earth as to cause the death of all living beings coming near it. If one single body emits so horrible a stench, what can the smell be that rises from many millions of these wretched beings? It is related of the tyrant Maxentius that he was wont, as a punishment, to cause a living man to be bound to a corpse, face to face and limb to limb, until the unhappy victim fainted, or even died through contact with the dead and decomposing body. That is indeed a torture of which no one can think without shuddering. How much worse will it be in hell, where the bodies will lie close to one an other, without any hope of being separated. Bad as this stench is, it is greatly increased by the presence of the devils, who naturally are far more offensive to the nostrils than the bodies of the lost. We read in the life of St. Martin that the evil one appeared to him upon one occasion, and the stench that filled the room was so overwhelming that the saint said to himself: "If one single devil has so disgusting an odor, what can the stench be in hell, where there are thousands of devils all together?" How much suffering this abominable stench must cause to the damned ! how it must aggravate their distress and pain ! For it must be deadly beyond description, arising as it does from so many different sources---hell itself, the bodies of the damned, the devils, the worms and reptiles, the fire of pitch and brimstone, each and all of which stink in the nostrils of the lost. Judge by what has been said how intolerable the combined odors of all these things must be. Alas for the unfortunate beings who are condemned to breathe such an atmosphere ! Alas for the poor sinners who have to dwell in it for endless ages ! They must sink under it, they be on the verge of death. O my God, I beseech Thee by Thy infinite clemency, spare me from so terrible a fate. Its also popularly accepted that the Jack O' Lantern has its roots in Irish Catholicism. Herein is a version of the story of Stingy Jack. As the story goes, several centuries ago amongst the myriad of towns and villages in Ireland, there lived a drunkard known as "Stingy Jack". Jack was known throughout the land as a deceiver, manipulator and otherwise dreg of society. On a fateful night, the devil overheard the tale of Jack's evil deeds and silver tongue. Unconvinced (and envious) of the rumors, the devil went to find out for himself whether or not Jack lived up to his vile reputation. Typical of Jack, he was drunk and wandering through the countryside at night when he came upon a body on his cobblestone path. The body with an eerie grimace on its face turned out to be Satan. Jack realized somberly this was his end; Satan had finally come to collect his malevolent soul. Jack made a last request: he asked Satan to let him drink ale before he departed to Hades. Finding no reason not to acquiesce the request, Satan took Jack to the local pub and supplied him with many alcoholic beverages. Upon quenching his thirst, Jack asked Satan to pay the tab on the ale, to Satan's surprise. Jack convinced Satan to metamorphose into a silver coin with which to pay the bartender (impressed upon by Jack's unyielding nefarious tactics). Shrewdly, Jack stuck the now transmogrified Satan (coin) into his pocket, which also contained a crucifix. 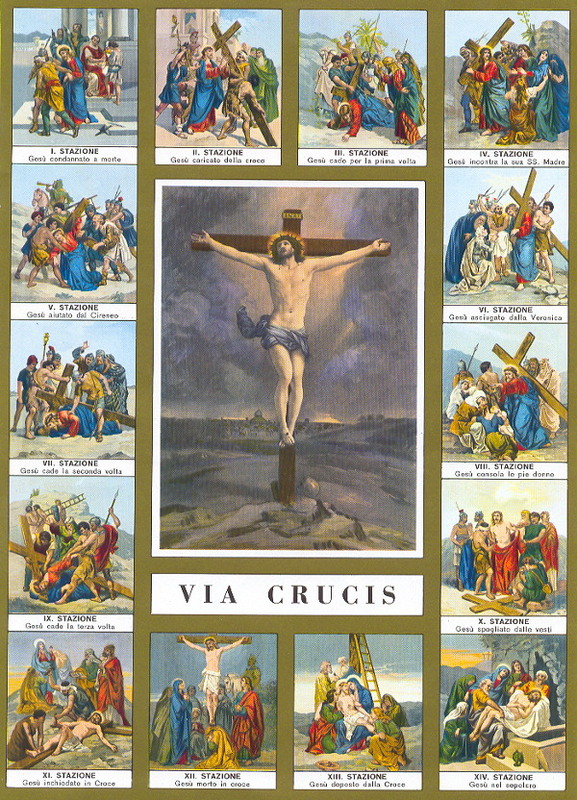 The crucifix's presence kept Satan from escaping his form. This coerced Satan to agree to Jack's demand: in exchange for Satan's freedom, he had to spare Jack's soul for ten years. Ten years later to the date when Jack originally struck his deal, he found himself once again in Satan's presence. Jack happened upon Satan in the same setting as before and seemingly accepted it was his time to go to Hades for good. As Satan prepared to take him to Hades, Jack asked if he could have one apple to feed his starving belly. Foolishly Satan once again agreed to this request. As Satan climbed up the branches of a nearby apple tree, Jack surrounded its base with crucifixes. Satan, frustrated at the fact that he been entrapped again, demanded his release. As Jack did before, he made a demand: that his soul never be taken by Satan into Hades. Satan agreed and was set free. Eventually the drinking and unstable lifestyle took its toll on Jack; he died the way he lived. As Jack's soul prepared to enter Heaven through the gates of St. Peter he was stopped. Jack was told by God that because of his sinful lifestyle of deceitfulness and drinking, he was not allowed into Heaven. The dreary Jack went before the Gates of Hades and begged for commission into underworld. Satan, fulfilling his obligation to Jack, could not take his soul. To warn others, he gave Jack an ember, marking him a denizen of the netherworld. From that day on until eternity's end, Jack is doomed to roam the world between the planes of good and evil, with only an ember inside a hollowed turnip ("turnip" actually referring to a large swede) to light his way. Of course, the glaring issue with the story is that, when a person dies, the soul is judged and sent to one of three places: Heaven, hell or purgatory. November 1 is, of course, All Saints Day. But because it falls on Saturday this year, the feast has been transferred to Sunday in the Diocese of Cleveland. Fortunately for Latin Mass Faithful, both St. Stephen and Immaculate Conception will have Latin Masses on November 1, and although it is not a day of obligation, it is still a pious and traditional act of devotion to attend Mass on this day. The schedule of those Masses is below. Hail to Our Sovereign King! 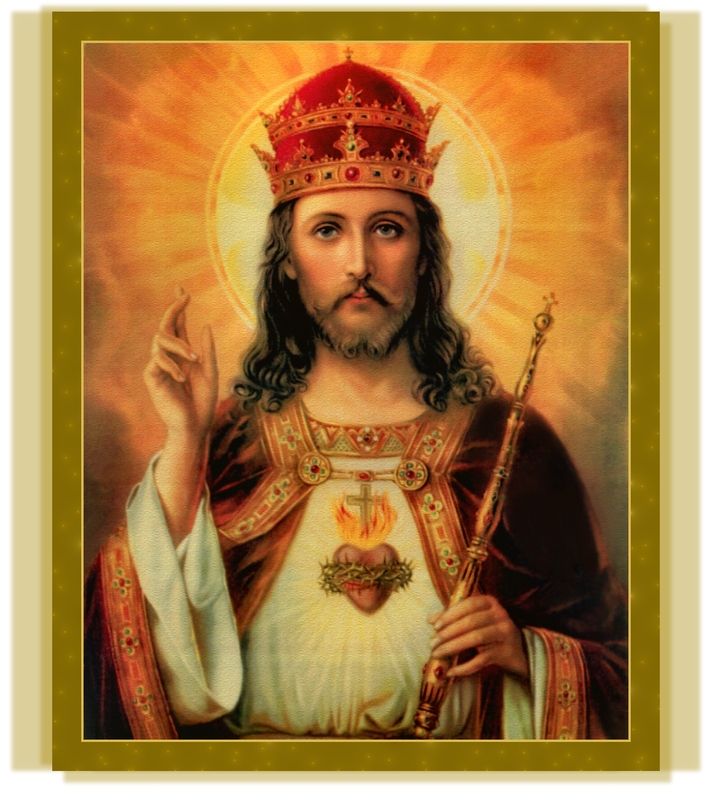 A most blessed Feast of Christ the King to you all! Student. What is the fundamental condition of the Kingship of Jesus Christ over society? Teacher. This condition consists in the explicit will of the Holy Trinity to give to Jesus Christ as man a true and absolute royal power. It is not a question of the rights of the Word of God, which are infinite, but of the rights and powers which God gives to the Sacred Humanity assumed by the Word. S. God has made known to us His Will in this matter? "The foundation of this power and dignity of our Lord is rightly indicated by Cyril of Alexandria. 'Christ,' he says, 'has dominion over all creatures, a dominion not seized by violence nor usurped; but His by essence and by nature' (Luke x.). His kingship is founded upon the ineffable hypostatic union. From this it follows not only that Christ is to be adored by angels and men, but that to Him, as Man, angels and men are subject, and must recognise His empire; by reason of the hypostatic union Christ has power over all creatures." S. Explain the second doctrinal foundation of this truth taught by Pius XI. T. "But a thought that must give us even greater joy and consolation is this, that Christ is our King, by acquired, as well as by natural right, for He is our Redeemer. Would that those who forget what they have cost their Saviour might recall the words: 'You were not redeemed with corruptible things, but with the precious blood of Christ, as of a lamb unspotted and undefiled' (1 Peter, i. 1819). We are no longer our own, for Christ has purchased us 'with a great price' (1 Cor. vi. 20); our very bodies are the 'members of Christ' (1 Cor. vi. 15)." Oh, what happiness would be Ours if all men, individuals, families, and nations, would but let themselves be governed by Christ! "Then at length," to use the words addressed by our predecessor, Pope Leo XIII, twenty-five years ago to the bishops of the Universal Church, "then at length will many evils be cured; then will the law regain its former authority; peace with all its blessings be restored. Men will sheathe their swords and lay down their arms when all freely acknowledge and obey the authority of Christ, and every tongue confesses that the Lord Jesus Christ is in the glory of God the Father." The holy pope is spelling out unity here. Unity can only arise from one teaching authority, one law of belief, one Christian Faith … There is but one way in which the unity of Christians may be fostered, and that is by fostering the return to the one true Church of Christ of those who are separated from it. The faithful, moreover, by meditating upon these truths, will gain much strength and courage, enabling them to form their lives after the true Christian ideal. If to Christ our Lord is given all power in heaven and on earth; if all men, purchased by his precious blood, are by a new right subjected to his dominion; if this power embraces all men, it must be clear that not one of our faculties is exempt from his empire. He must reign in our minds, which should assent with perfect submission and firm belief to revealed truths and to the doctrines of Christ. He must reign in our wills, which should obey the laws and precepts of God. He must reign in our hearts, which should spurn natural desires and love God above all things, and cleave to him alone. He must reign in our bodies and in our members, which should serve as instruments for the interior sanctification of our souls, or to use the words of the Apostle Paul, as instruments of justice unto God. Luke 22:31 And the Lord said: Simon, Simon, behold Satan hath desired to have you, that he may sift you as wheat. 22:32 But I have prayed for thee, that thy faith fail not: and thou, being once converted, confirm thy brethren. From 1894 to 1910, a French political and religious movement, Le Sillon, sought to bring Catholicism into conformity with the socialist ideals of the French Republic. Le Sillon intended to break down the hierarchical structure, in favor of a more democratic one, with more authority being given to ordinary Christians and laity. Ultimately, the movement was condemned by Holy Mother Church and that most blessed enemy of modernity, Pope St. Pius X. The intention here is not to give a history lesson, but to allow the very words of St. Pius X confirm and strengthen us, just as Our Lord laid upon the shoulders of the first pope to do the same. Remember, there is nothing new under the sun. We live in a time eerily similar to what St. Pius X saw happening to the Church's Eldest Daughter. And for Faithful Catholics attached to tradition, the Holy Pope throws a bone near the end. Excerpts below are from the encyclical Notre Charge Apostolique. 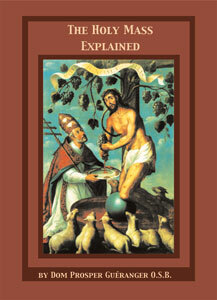 The entire encyclical can be found at Papal Encyclicals. It is well worth the read. Our Apostolic Mandate requires from Us that We watch over the purity of the Faith and the integrity of Catholic discipline. It requires from Us that We protect the faithful from evil and error; especially so when evil and error are presented in dynamic language which, concealing vague notions and ambiguous expressions with emotional and high-sounding words, is likely to set ablaze the hearts of men in pursuit of ideals which, whilst attractive, are nonetheless nefarious. Such were not so long ago the doctrines of the so-called philosophers of the 18th century, the doctrines of the Revolution and Liberalism which have been so often condemned; such are even today the theories of the Sillon which, under the glowing appearance of generosity, are all too often wanting in clarity, logic and truth. These theories do not belong to the Catholic or, for that matter, to the French Spirit. ...in an attempt to justify their social dreams, they put forward the Gospel, but interpreted in their own way; and what is even more serious, they call to witness Christ, but a diminished and distorted Christ. ...by ignoring the laws governing human nature and by breaking the bounds within which they operate, the human person is lead, not toward progress, but towards death. This, nevertheless, is what they want to do with human society; they dream of changing its natural and traditional foundations; they dream of a Future City built on different principles, and they dare to proclaim these more fruitful and more beneficial than the principles upon which the present Christian City rests. No, Venerable Brethren, We must repeat with the utmost energy in these times of social and intellectual anarchy when everyone takes it upon himself to teach as a teacher and lawmaker - the City cannot be built otherwise than as God has built it; society cannot be setup unless the Church lays the foundations and supervises the work; no, civilization is not something yet to be found, nor is the New City to be built on hazy notions; it has been in existence and still is: it is Christian civilization, it is the Catholic City. It has only to be set up and restored continually against the unremitting attacks of insane dreamers, rebels and miscreants. ...According to [the Sillonists], Man will be a man truly worthy of the name only when he has acquired a strong, enlightened, and independent consciousness, able to do without a master, obeying only himself, and able to assume the most demanding responsibilities without faltering...And that great day, when will it come? Unless human nature can be changed, which is not within the power of the Sillonists, will that day ever come? Did the Saints who brought human dignity to its highest point, possess that kind of dignity? 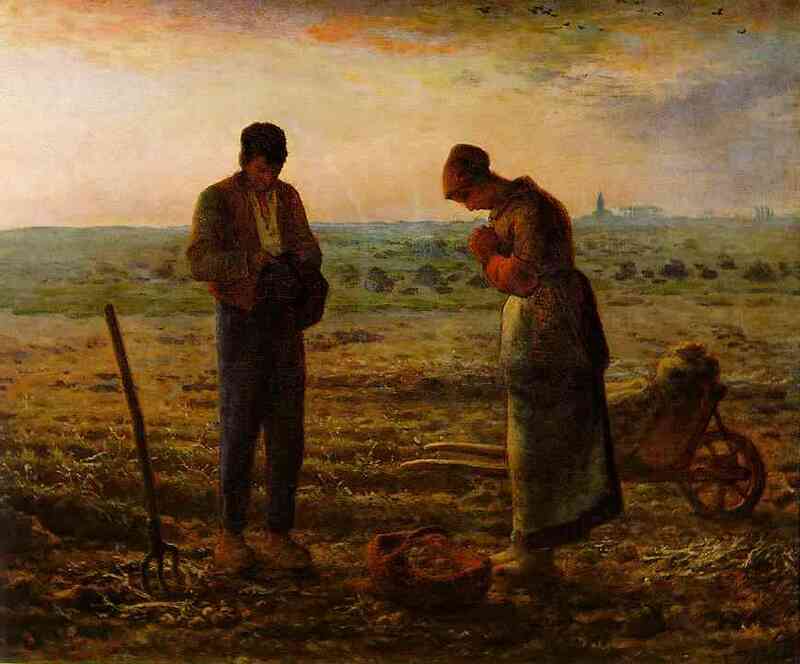 And what of the lowly of this earth who are unable to raise so high but are content to plow their furrow modestly at the level where Providence placed them? They who are diligently discharging their duties with Christian humility, obedience, and patience, are they not also worthy of being called men? Will not Our Lord take them one day out of their obscurity and place them in heaven amongst the princes of His people? ...What are we to think of this appeal to all the heterodox, and to all the unbelievers, to prove the excellence of their convictions in the social sphere in a sort of apologetic contest?...What are we to think of this respect for all errors, and of this strange invitation made by a Catholic to all the dissidents to strengthen their convictions through study so that they may have more and more abundant sources of fresh forces? ...But stranger still, alarming and saddening at the same time, are the audacity and frivolity of men who call themselves Catholics and dream of re-shaping society under such conditions, and of establishing on earth, over and beyond the pale of the Catholic Church, "the reign of love and justice" with workers coming from everywhere, of all religions and of no religion, with or without beliefs, so long as they forego what might divide them - their religious and philosophical convictions, and so long as they share what unites them - a "generous idealism and moral forces drawn from whence they can" When we consider the forces, knowledge, and supernatural virtues which are necessary to establish the Christian City, and the sufferings of millions of martyrs, and the light given by the Fathers and Doctors of the Church, and the self-sacrifice of all the heroes of charity, and a powerful hierarchy ordained in heaven, and the streams of Divine Grace - the whole having been built up, bound together, and impregnated by the life and spirit of Jesus Christ, the Wisdom of God, the Word made man - when we think, I say, of all this, it is frightening to behold new apostles eagerly attempting to do better by a common interchange of vague idealism and civic virtues. What are they going to produce? What is to come of this collaboration? A mere verbal and chimerical construction in which we shall see, glowing in a jumble, and in seductive confusion, the words Liberty, Justice, Fraternity, Love, Equality, and human exultation, all resting upon an ill-understood human dignity. ...As soon as the social question is being approached, it is the fashion in some quarters to first put aside the divinity of Jesus Christ, and then to mention only His unlimited clemency, His compassion for all human miseries, and His pressing exhortations to the love of our neighbor and to the brotherhood of men. True, Jesus has loved us with an immense, infinite love, and He came on earth to suffer and die so that, gathered around Him in justice and love, motivated by the same sentiments of mutual charity, all men might live in peace and happiness. 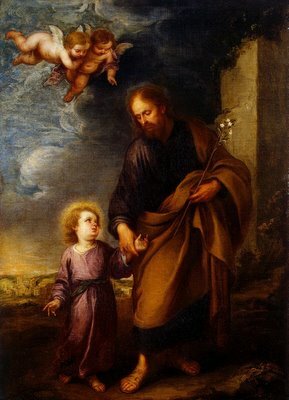 But for the realization of this temporal and eternal happiness, He has laid down with supreme authority the condition that we must belong to His Flock, that we must accept His doctrine, that we must practice virtue, and that we must accept the teaching and guidance of Peter and his successors. Further, whilst Jesus was kind to sinners and to those who went astray, He did not respect their false ideas, however sincere they might have appeared. He loved them all, but He instructed them in order to convert them and save them....He reproved, threatened, chastised, knowing, and teaching us that fear is the beginning of wisdom, and that it is sometimes proper for a man to cut off an offending limb to save his body. ...Indeed, the true friends of the people are neither revolutionaries, nor innovators: they are traditionalists. The modern-day Sillonists are alive and marching forward. See below. Great news again! Latin Mass Class - Going deeper into the liturgy. Join us as we examine the rich prayers and parts of the Mass. Sunday Oct. 19th after the 9:30am Mass in the club room at St. Stephen Church. FREE. Refreshments provided. Please consider coming to Padre Pio Academy (12920 Madison Ave. in Lakewood) on Sunday, October 5, at 2:30 PM, for a free talk presented by Dale Ahlquist. The presentation is entitled, "G.K. Chesterton and Lepanto- The Epic of Catholic History." Dale is an expert on G.K. Chesteron. He hosts an EWTN program about his work and is also president of the American Chesterton Society. In addition to the normal schedule of First Friday Masses, Mary Queen of Peace will offer a Latin Mass at 8pm this Friday, 10/3. The church is located at 4423 Pearl Rd in Cleveland. Formerly Our Lady of Good Counsel. As far as we know, this is not a regularly scheduled Latin Mass. Cleveland TLM Friends can happily recommend the following books, and also their publisher, Loreto Publications. Any one (or all) of these books will undoubtedly aid the Faithful Catholic in entering more deeply into the mysteries of the Holy Sacrifice of the Mass. 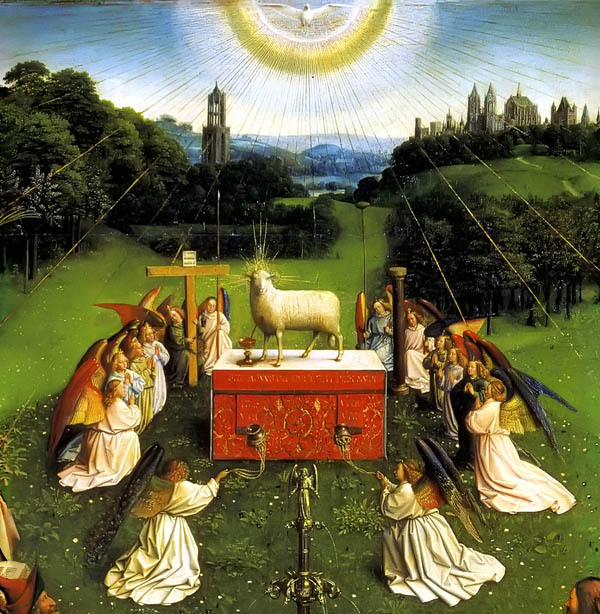 We most humbly beseech Thee, almighty God, command these offerings to be borne by the hands of Thy holy Angel to Thine altar on high, in the sight of Thy divine majesty, that as many as shall partake of the most holy Body + and Blood + of Thy Son at this altar, may be filled with every Heavenly grace and blessing. Through the same Christ our Lord. Amen. This prayer contains a mysterious request: that God may cause our offering to be carried by His angel to His altar on high, in the presence of His Divine Majesty, so that by partaking of the sacrificial food we may be filled with heavenly blessings. There is no altar in heaven, properly speaking, because there is no real sacrifice, as on earth. 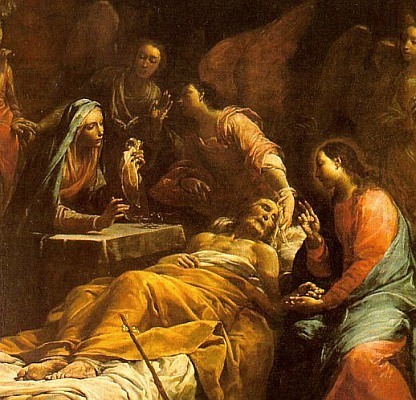 Our Divine Savior forever stands before the face of God as our High Priest, presenting to the Divine Majesty His Wounds and His bloody Death, in order to implore grace and mercy for us. In like manner, unceasing sacrifices of praise, thanksgiving, atonement and petition rise from the heart of our Blessed Mother and from all the angels and saints to the Triune God. 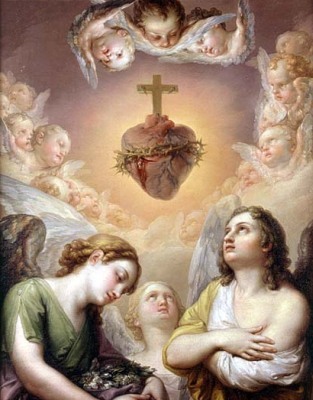 The Hearts of Jesus and Mary, glowing with love, may, therefore, be said to constitute the "altar on high" upon which the most perfect sacrifice of praise is uninterruptedly offered to God. A very good Friend of the TLM sent in the following pictures and caption. Marian Army Mobilized! Feast of the Assumption Marian Consecration Group. 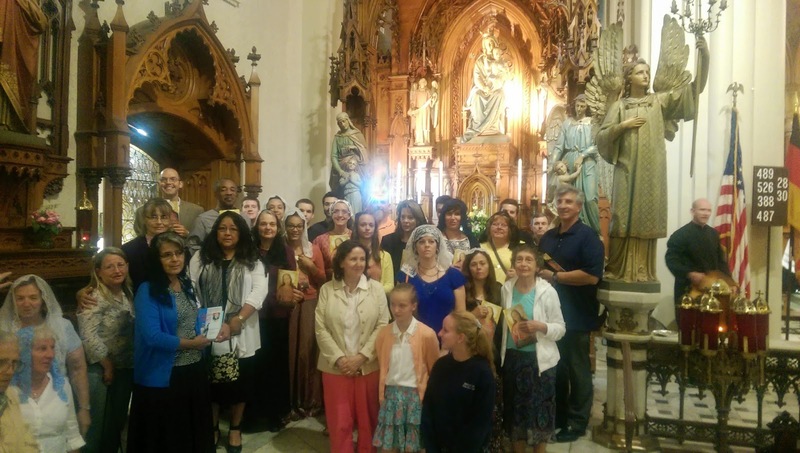 Pictures taken at the Solemn Mass on August 15th. The Consecration was led by Fr. Bede after the homily. A special thanks to all who participated in the 33 Days to Morning Glory preparation for Total Consecration to the Blessed Virgin Mary. The feast of the Assumption of the Blessed Virgin Mary is Friday, August 15, 2014. Immaculate Conception, Cleveland, will have low Mass at 7am. St. Stephen and Immaculate Conception will offer Solemn High Mass at 6:30pm. 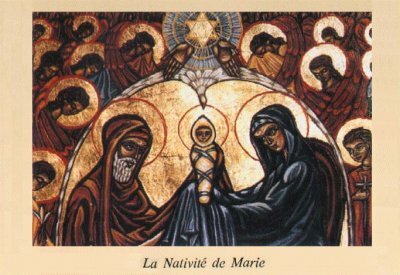 Nota bene: this is an holy day of obligation. Catholics are obliged to attend Mass, under the pain of mortal sin. Also, the Vigil of the Assumption will be celebrated on Thursday, August 14th, at St. Stephen's regularly scheduled Thursday evening low Mass, 6:30pm. It was announced on Sunday that, under Canon Law, attending the Vigil of the Assumption mass will satisfy the obligation. Can. 1248 §1. 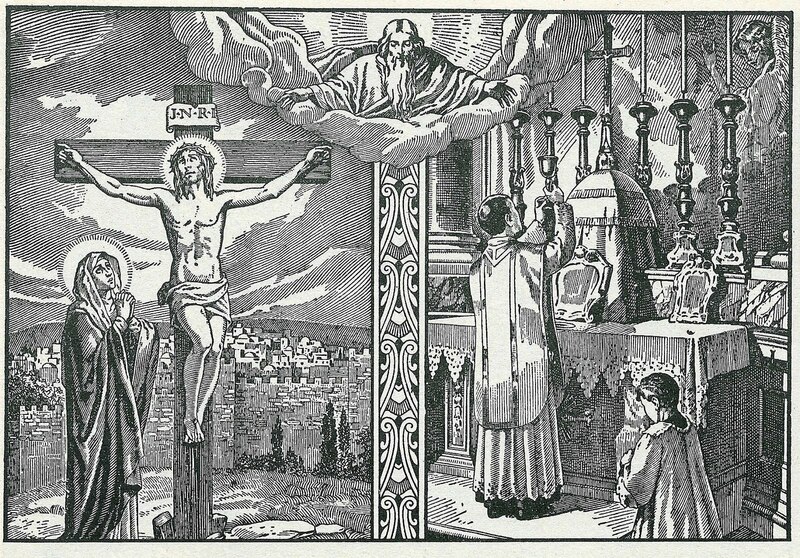 A person who assists at a Mass celebrated anywhere in a Catholic rite either on the feast day itself or in the evening of the preceding day satisfies the obligation of participating in the Mass. Of course, both Masses are beautiful celebrations in honor of Our Lady, and it would be a wonderful, pious act to assist at Holy Mass on both days. Catholic tradition would also inspire us to not simply seek the bare minimum requirements. Cleveland TLM Friends was contacted by the rector of Our Lady of Lebanon Shrine in North Jackson, Ohio, Msgr. Anthony Spinosa, to post the following information. Just to let you know that the Shrine will be having a Solemn High TLM on Thursday, August 14 at 2pm. The celebrant will be Fr. Shannon Collins, Father of Mercy and co-founder of a new community the Missionaries of St John the Baptist in the Diocese of Covington, KY. Deacon will be Fr Joseph Orlofksy FSSP and I think I will be the Subdeacon. A reader of Cleveland TLM Friends has informed us that St. Sebastian's Mass on Sunday, July 20, 2014, will be at 2pm instead of the regular time of 1pm. It has also been confirmed by the celebrant. First Friday for the month of July this year falls on Independence Day. St. Stephen's will not have a Latin Mass at 6:30pm, as would be normal. Immaculate Conception in Cleveland will, however, have low Mass on July 4, but it will not be at their normal First Friday time of 6:00pm. Instead, Mass will be at 8:00am, but will not include benediction. 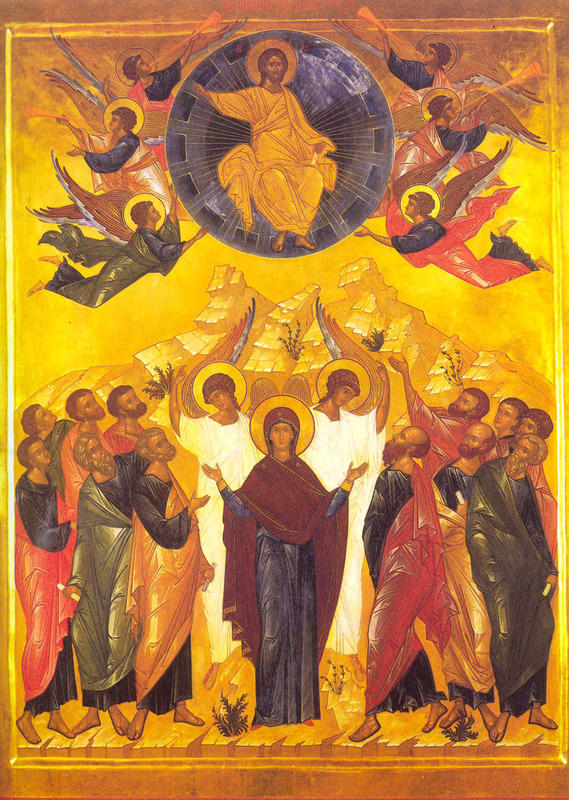 **We are reminded that in the Diocese of Cleveland, the Feast of the Ascension has been transferred to Sunday, Jun 1, 2014. Therefore, Thursday, May 29, 2014, is not an Holy Day of Obligation. Nonetheless, it would be a pious act to celebrate it on its traditional day of observation. Please make note of the following correction. Palm Sunday High Mass at St. Stephen's will be at 9:15am, NOT the regular time of 9:30am. This is due to the Blessing of Palms and Procession before Mass begins. The Faithful are to approach the altar rail, kneel and kiss the hand of the celebrant when receiving a candle from him. 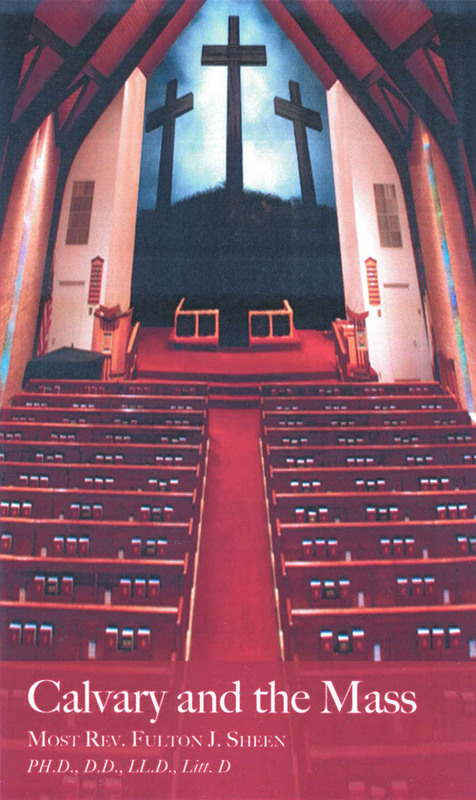 After receiving the candles, the Faithful do not retreat to the pews, but stay in the area in front of the first pew. Each candle will be lit here by the ushers, and then all will join in the procession behind the celebrant. The candles are extinguished after the procession. The ushers will re-light the candles just before the singing of the Gospel. After the Gospel, the candles are extinguished. Again, the ushers will re-light the candles during the Offertory. These remain lighted all through the Canon of the Mass and during the reception of Holy Communion. After the Faithful have received Holy Communion, when the gate of the Communion Rail is re-opened, the candles may be extinguished. The above are directives for those attending at St. Stephen's. Things may be different at other parishes. 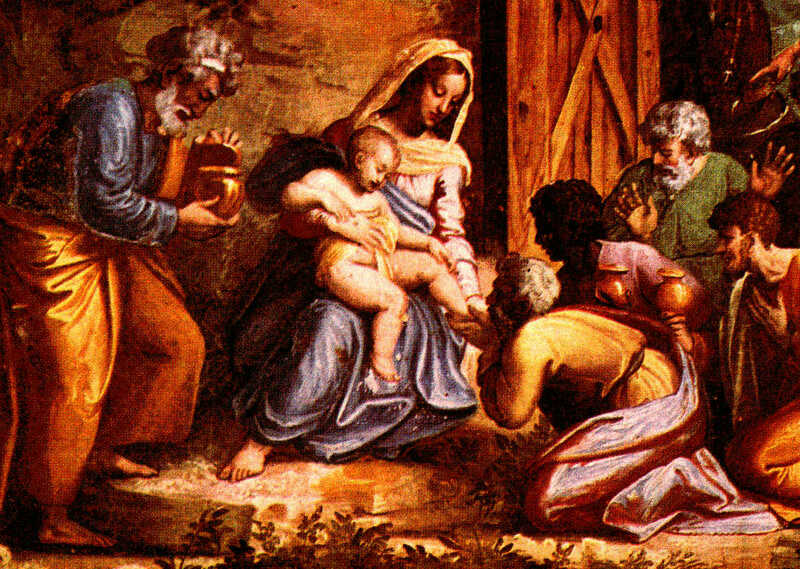 St. Stephen and Immaculate Conception Cleveland will both offer Solemn Mass for the traditional celebration of the Feast of the Epiphany, Jan 6, at 6:30pm. "20" is the millennium and century, the "C" stands for the first Wise Man, Caspar, the "M" stands for Melchior, the "B" stands for Balthasar, and the "14" stands for the decade and year. Tradition has it that the initials also stand for "Christus mansionem benedicat" ("Christ bless this house"). Leader (Priest, if present, or father of the family): Peace be to this house. Leader: Let us pray. Bless, O Lord God almighty, this home, that in it there may be health, purity, the strength of victory, humility, goodness and mercy, the fulfillment of Thy law, the thanksgiving to God the Father and to the Son and to the Holy Spirit. And may this blessing remain upon this home and upon all who dwell herein. Through Christ our Lord.